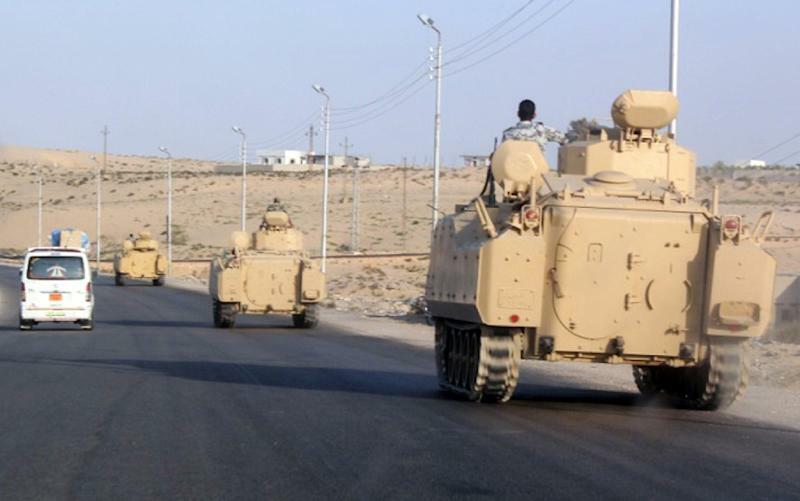 Cairo (AFP) - Two Egyptian soldiers, one an officer, were killed by an explosion as they tried to defuse a roadside bomb in the Sinai Peninsula Saturday, a military statement said. It said another officer was wounded in the blast. The Islamic State group's Egyptian branch is waging an insurgency in the restive peninsula that has killed hundreds of soldiers and policemen since the military overthrew Islamist president Mohamed Morsi in 2013. The jihadist group has said it caused the crash of a Russian passenger plane carrying holidaymakers over Sinai last October, killing all 224 people on board. It said it had smuggled a bomb on board the plane at a south Sinai resort airport. The Sinai militants pledged allegiance in November 2014 to the Islamic State group, which controls parts of Iraq and Syria.